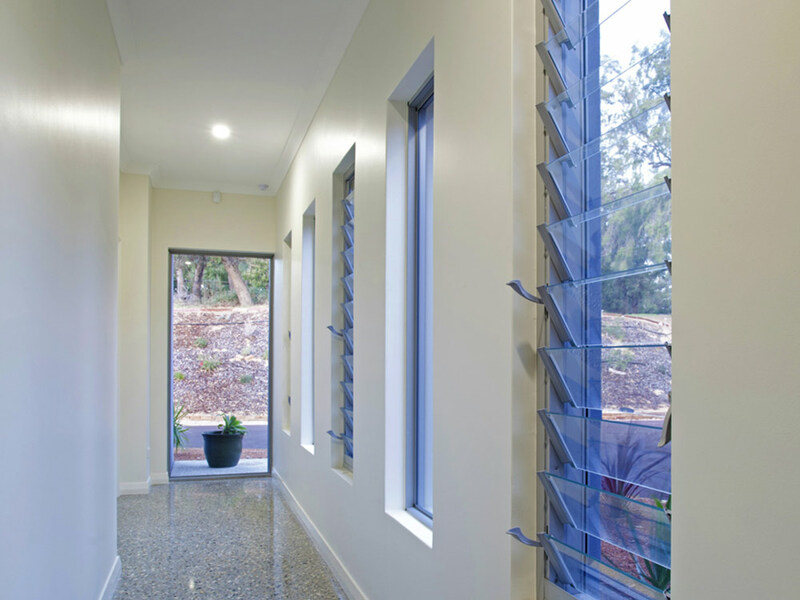 Altair Louvres can make great feature windows in walkways. 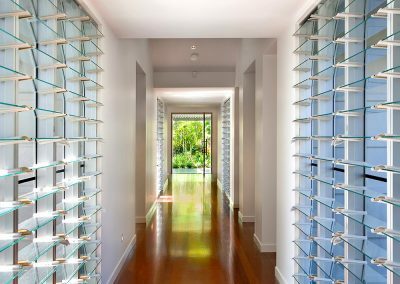 They can be installed into timber frames to match other windows inside the home or can be installed into Breezway’s aluminium framing systems that can also be screened. 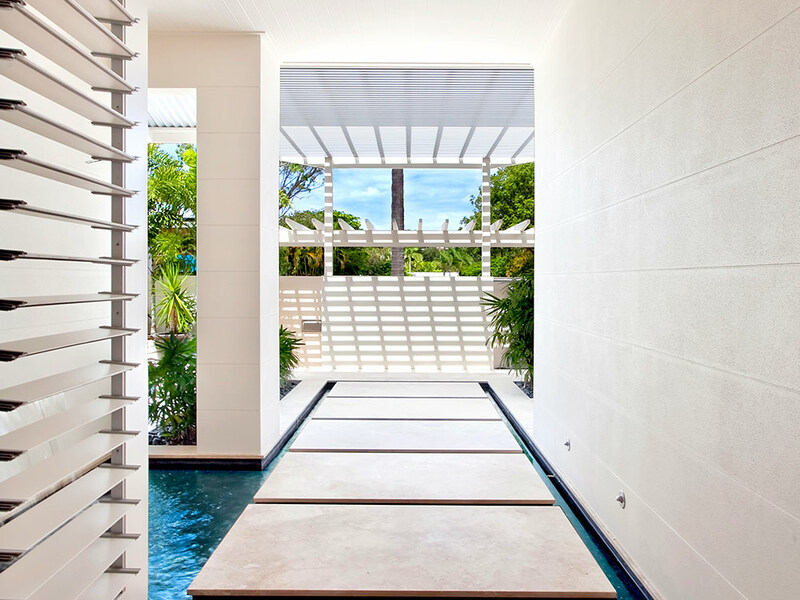 To really effectively cool a room, you need to let cool, fresh air in and also let warm, stale air out. 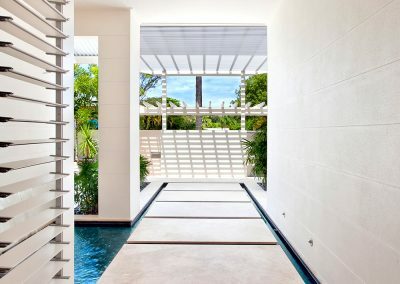 This can be tricky if a room only has a single outside wall. 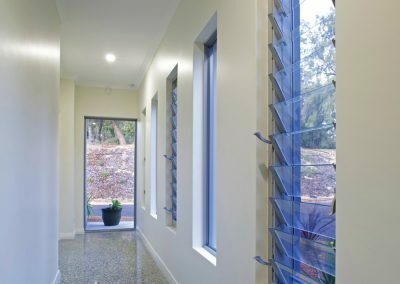 Altair Louvre Windows are an ideal solution for internal wall applications as they offer maximum ventilation for their size and fit almost any space available. 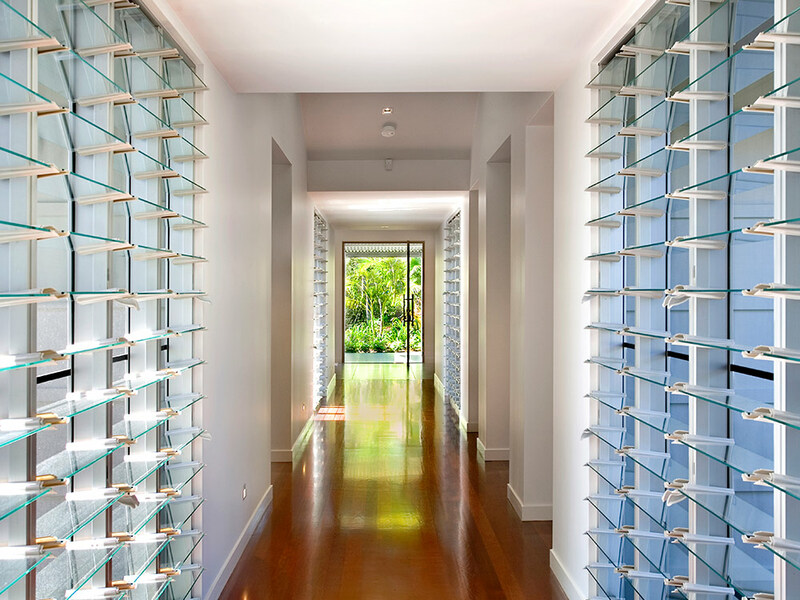 By using timber, aluminium or obscure glass louvres means rooms can remain private.